Its been a little while since I last updated on the individual shares portfolio so perhaps the end of the 1st quarter may be a good opportunity to bring things up to date. I mentioned in the last update in November, there had been a few portfolio sales. The proceeds of all these sales amounted to £9,838 after sale costs. In addition there is the proceeds from the takeover of Abbey Protection of £1,610 received in early January, making a combined total of £11,448. Subsequently there have been 6 new additions - Sage Group, Next, Centrica, easyJet, Plastics Capital and a badly timed re-purchase of Dialight. Sage, Next, easyJet and Plastic Capital have got off to a great start with current share price gains of 15%, 35%, 22% and 5% respectively plus dividends. Dialight was sold at a loss following yet a further profits warning. Centrica has lost a little ground since purchase- I probably was a little too impatient with the purchase but as a whole, I think the additions are still in the black. The total acquisition costs including dealing fees and stamp duty amounts to £10,591 leaving a surplus of £857 (11,448 - 10,591). Therefore there is currently a net surplus of £734 (857 - 123) - this sum together with last years dividends of £996 will be used to cover my recent purchase of Legal & General - 800 shares @ 206p total cost £1,666 including dealing charges and stamp duty (this addition has not yet been added to the portfolio table below). I think one of the main factor negatively affecting returns in the past few months has been the share price decline of my two supermarkets - Tesco has struggled to get back on track following its profit warning over 2 years back. SBRY had a set back following the announcement in January of the departure of its CEO Justin King. Both have come under pressure from the likes of Aldi and Lidl and recent results from Morrisons has not helped confidence in the sector. At the close of business yesterday, the FTSE 100 was 6615 - up around 12% on January 2013. There will not be many people in the UK who have not heard of the large insurer. It has been around since 1836 started by six lawyers operating from temporary premises in Chancery Lane. L&G is now a large FTSE 100 company with a market cap of £12bn employing over 8,000 people serving 10 million customers. It is responsible for investing over £500bn worldwide with operations in USA, France, The Netherlands, Egypt, India and the Gulf. However the UK still accounts for the majority of its business. "Disciplined investment in growth, effective management and rigorous cost control has enabled us to more than triple net cash since the financial crisis: it has grown from £320m in 2008 to £1,002m in 2013. We have grown dividends again by over 20% and due to the strength of the business intend to move dividend cover from 1.8 towards 1.5 times over the next two years. 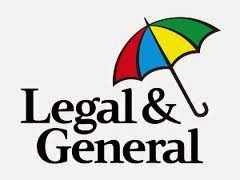 Legal & General moved up another gear in 2013, delivering record financial results and accelerating growth across all areas. Net inflows were £17bn including £9bn in LGIM and £8bn into Cofunds. LGIM now has £450bn of AUM, and Cofunds, with £64bn of assets is the UK’s largest Savings platform. Annuity premiums grew by 78% to over £4bn, protection gross premiums were over £1.3bn, and we intermediated £28bn of mortgages. We successfully completed four acquisitions in 2013 and have announced a further acquisition in 2014.
products and excellent service, including through the recent floods". Since this announcement we have had the budget and the proposed changes to pensions which means fewer people will be forced to choose an annuity. Secondly, the Financial Conduct Authority have today announced they will be conducting an investigation into 30 million poorly managed pension and investment products sold between the 1970s and 2000 to see whether customers have been treated fairly. 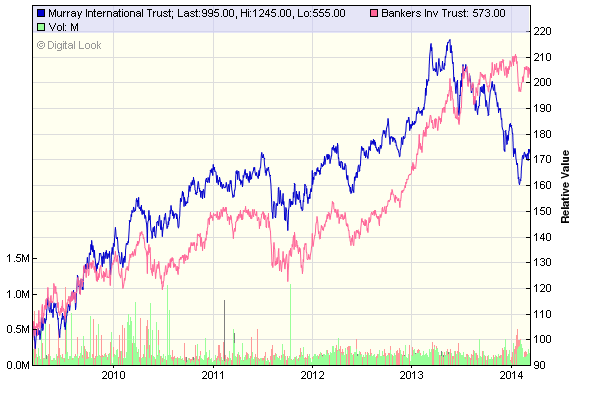 This double whammy has knocked the share prices of all the main insurers and pension providers in recent weeks. At the time of the results the L&G share price was 240p but has retreated to just above 200p - a fall of over 15%. For annuity providers such as L&G, the pension reforms threatens a key business line - commenting on the post-budget scenario this week, CEO Nigel Wilson said L&G's business mix would change following the reforms, with more emphasis on its fund management and pension savings businesses. 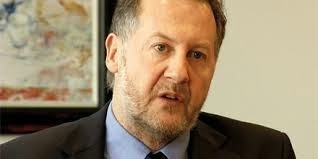 He also said L&G's "bulk" annuity business, aimed at company pensions rather than individuals and which is unaffected by the reforms, would continue to grow, offsetting falling sales of the products to individuals. L&G predicts that much of the money that individual savers would have automatically put into annuities under the old system will now be invested in alternative products, with some £5bn a year taken in cash. In a separate announcement this week, the company announced it had won a £3bn bulk annuity contract with the pension fund of chemicals maker ICI (now part of Dutch group Akzo Nobel NV), adding to its £34.4bn stock of annuity assets. Obviously, it is likely there will be further price volatility until there is more clarity on the impact of the above issues however I have decided to purchase my usual ‘half’ earlier today at 206p and will possible top up later in the year should there be further share price weakness. The shares are currently trading on a P/E of 13.5 and yield of 4.5%. After many years in the build phase, I decided to convert my SIPP to income drawdown in June 2012. Here’s my first anniversary review last June. I must say I was pleasantly surprised at the changes introduced by the Chancellor in his budget last week and I have been very busy over the past few days revising and updating my ebook “DIY Pensions”. This process has resulted in me reflecting on my longer term pension drawdown plans. Luckily, I did not purchase an annuity in 2012 and I feel sorry for those who have done this in recent years as there is nothing that can be done to reverse the situation. 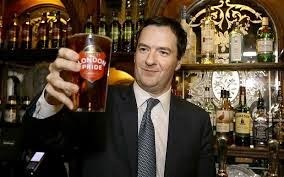 From April 2015, George Osborne says "pensioners will have complete freedom to drawdown as much or as little of their private pension pot as they wish. Let me be clear, no one will have to buy an annuity"
Currently, anything withdrawn over and above the 25% tax free lump sum is taxed at 55% so most pensioners opt for some form of annuity or income/flexible drawdown. As far as I can determine, both income (or capped) drawdown and flexible drawdown will become redundant from next year as they will be replaced by the new, more generous 'take as much or as little as you want' pension. The amounts taken over and above the tax free lump sum will be taxed at marginal rates - for most people this will be 20%. I regard my drawdown sipp as a sort of index-linked annuity substitute. The 60% equity portion is invested in a number of income generating investment trusts, all of which have a good track record of raising dividends each year in line with or a little ahead of inflation. The yield combined with the fixed income part of my portfolio is around 5% per annum. The original plan was to allow this portfolio to run for the next 20 to 25 years and take a gradually rising income each year. However, the budget announcement has created a new playing field providing more options to consider. 1. Carry on as if nothing has changed. The plan is working exactly as planned and there’s the old saying ‘if it aint broke, don’t try to fix it’. However, the rising income taken out will always be taxable and although no tax is paid currently, in a few years time, the new flat rate state pension will be due - around £8,000 per annum. The admin fees on the sipp drawdown with Youinvest (formerly Sippdeal) have recently been increased from £90 to £120 p.a. 2. From April next year, sell the investments, close the SIPP and withdraw the entire amount. This would be treated as income for the 2015/16 tax year and the sum would (mostly) be taxed at 20%.The proceeds could be reinvested in my ISA over the coming 3 or 4 years and, of course, the income taken from the ISAs is not taxable and does not need to be declared for tax. 3. My current taxable income is quite small and within the £10,000 nil tax threshold as, apart from my sipp drawdown income, most of my remaining income is generated by my ISA. I could therefore significantly increase the current level of drawdown and take larger amounts from my sipp to bring me up to the nil rate limit for income tax - £10,500 from April 2015 - and invest, as before, in my ISA. Any monies moved from my drawdown sipp to ISA would be reinvested in exactly the same investment trusts producing exactly the same income as before. So, apart from the sale (sipp) and repurchase (ISA) costs, I believe it would be far more advantageous to have a rising tax-free income over the coming 20 or 25 years rather than a taxable income. Furthermore, the new flexibility for ISAs announced in the budget would permit a transfer between stocks & shares ISA to a cash ISA should circumstances make such a move attractive. The final advantage would be the possibility of passing capital to children or grandchildren in a more tax efficient way. Currently funds in a pension drawdown are taxed at 55% on death but that may change over the coming year and there is now a consultation process underway to review this rate. Nothing is likely to change for the coming year unless I increase the level of drawdown to take advantage of the new 150% GAD rate which means I could take an extra 25% or so income from my sipp. The decision can therefore take shape over the next 12 months but my present thoughts are to go with option 3. I would be pleased to hear the opinions of others on this situation - feel free to leave a comment. I wonder what Homer would do?! They have just issued final results for the past year to 31st January 2014( link via Investegate). The headline is that NAV per share on a total return basis has increased 8.7% - compared to its benchmark the FTSE all-share index which increased by 10.1%. Although the trust has underperformed the benchmark index, it has improved on the income front with revenues rising 10%. Underlying income per share also rose 7.6% to 11.59p. The Board is recommending a final dividend of 3.375p, which will make for a total of 11.10p for the full year (2013 - 10.75p) - an increase of 3.25%. 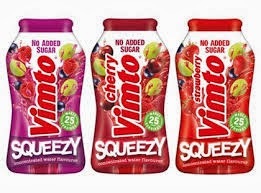 At the current price of 269p the trust yields a handy 4.1%. Following last years results, I was a little concerned to see a dip in the revenue reserves of -7.8% to £19.9m, however, this year I am pleased to see reserves have increased to £21.4m and now represents 130% of dividends paid out over the past 12 months. The manager seems happy that the portfolio is in good shape though a little frustrated that he has not been able to make more progress on the capital appreciation front but says he is not prepared to compromise on quality in the search for value. In his report the lead manager Jeremy Whitley said “With a focus on good quality businesses that can preserve capital value in tough times and participate in, though probably not exceed, the bounties that are available in strong markets, which over the cycle leads to good levels of capital outperformance married with delivering real growth in dividend distributions“. Portfolio turnover is again minimal - £30m less than the previous year and is only 0.04% of NAV (these costs for the average fund are over 1%). I said in my post last year "I am content to continue holding for the time being but will be looking for some progress on income growth above inflation combined with a boost to reserves at this point next year" - seems both boxes are ticked so happy to continue holding for the time being. This FTSE 100 retailer was added to my ISA portfolio last October. 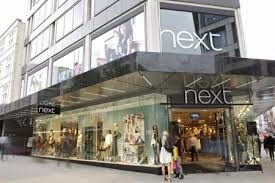 Today NEXT trades from more than 500 stores in the UK and Eire and almost 200 stores in more than 30 countries overseas. Online shopping was introduced in 1999 and the entire book became available to shop from on the internet, page by page – another first in home shopping in the UK. NEXT Directory now also serves customers in around 60 countries outside the UK. They have today reported full year results to 31st January 2014. After the last trading statement in January, it is little surprise that profits are at the top end of expectations with pre-tax profits rising 11.8% to £695m (2013 £621m). As a result of 6.2 million share buy backs earlier in the year, earnings have risen 23% to 366p per share supporting a full year dividend of 129p (2013 105p). Dividend cover is a healthy 2.8x earnings and free cashflow cover is 3.1x. This will be the 5th consecutive year that earnings and dividends have increased by more than 15% - quite an achievement. The share price has advanced some 55% over the year and the board have decided for the time being to suspend share buy-backs and have started to return excess cash to shareholders by way of special dividends - 50p was paid in February and a further 50p has been declared for May. Two further special dividends are expected later in the year. The outlook for the coming year is very positive with forecast sales revenues of between 4% - 8% and total returns of 10% to 15%. The results have been well received and when last I checked, the share price was up 1.7% at £66.90. This is a very well run organisation under the stewardship of CEO, Lord Wolfson. I am happy to continue with this quality company and may look to further add to my holding should there be any share price weakness over the coming 12 months. There’s usually not much for the average investor to get excited about in the annual pantomime called budget day. However, this year there have been a few surprises which will benefit savers and pensioners. The Chancellor announced that he will be increasing the ISA allowance to £15,000 from 1 July 2014. In a radical change, savers will be able to now put away £15,000 in the tax-free wrapper - and all of this will be able to be held as a cash ISA. The Government has dubbed the accounts New ISA - or Nisa. Savers have previously been able to transfer accumulated cash isa savings to a stocks & shares isa but now for the first time, savers will be able to transfer previous years’ funds from stocks and shares ISAs into cash ISAs. At present, savers can shield a maximum £11,520 away from the taxman (rising to £11,880 from 6th April). Half of this - £5,760 – can be held in a cash ISA, and the same amount in a stocks & shares isa. If no contribution is made to a cash isa, the full allowance can be put in a stocks and shares isa. These rules have created a great deal of confusion with the general public and building societies and other institutions have long campaigned for simplification. George Osborne says the increase in the limit is a thank-you to savers that have made ‘sacrifices for economic security’ by putting up with rock-bottom interest rates. Of course, there’s no guarantee that these rates will be rising much higher for the foreseeable future so a cynical view might be that savers can now save even more at rock bottom rates! Here, the Chancellor will be introducing some far-reaching changes. Under current provisions, pensioners can elect to take up to 25% of their pension pot as a tax-free lump sum - if they wanted to take more than this it is taxed at 55% so most people will either purchase an annuity or go down the income drawdown route. This will all change and pension savers in defined contribution schemes (but not final salary) will be able to take their entire pension as cash from the age of 55 as of April 2015 after George Osborne lifted restrictions on pots and declared: 'Nobody will have to buy an annuity'. They will still get 25% tax free but the remainder will only be taxed at their current tax rate - usually 20%. This significant shift in pension policy was dramatically revealed earlier today as the Chancellor said the 13m people with defined contribution pensions "should be trusted to make the right decisions with their retirement savings", in a move that will change the face of pensions forever and will come as a blow to insurance firms. The share price of the likes of L&G and Aviva have seen a sharp decline in afternoon trading. People can still opt for the certainty of income provided by annuities, but to help them make this decision the Government has said that everyone approaching retirement will be able to access impartial, face-to-face advice about the options presented to them. This will go some way to solving the decades-old problem of people defaulting into inappropriate products sold to them by their pension provider. George Osborne said: "We will legislate to remove all remaining tax restrictions on how pensioners have access to their pension pots. Pensioners will have complete freedom to draw down as much or as little of their pension pot as they want, anytime they want. No caps. No drawdown limits. Let me be clear. No one will have to buy an annuity." Ahead of next year's changes, there is also good news for those with small pension pots, as those with up to 3 small pots worth less than £10,000 will from next month be able to take them as lump sums - of which 25% will be tax-free. Currently this is only available to those with a max of 2 pots worth under £2,000. This follows a Financial Conduct Authority review which found that people cashing in small pension pots, particularly those worth less than £5,000, were losing out when compared to the cashing in of larger pots, as they have less choice and get worse value for money in the products they buy. Next month will also see the loosening of restrictions on income drawdown plans, with the annual cap on how much can be withdrawn rising from 120% to 150% of GAD rates. The rates have only recently returned from 100% to 120% so this further increase to the limit will mean the amount of income that can be taken by pensioners will increase significantly. Of course, whether it would be wise to take more income from the pot just because it is possible to do so is the real issue here. The changes will be fully retrospective so anyone who is currently in drawdown can benefit from the change. What's more, people who want to use one of their pension pots to dip into when they like through a 'flexible drawdown' product will only have to demonstrate they have just £12,000 of other guaranteed income (e.g. state pension and other pension income), rather than the £20,000 currently. There was less good news for younger savers as the age at which a person can take their private pension will rise from 55 to 57 in 2028. The Budget also says that this will rise in line with the state pension age thereafter, suggesting it will increase to 58 in the mid-2030s and 59 in the mid-2040s. As usual with these changes, the devil is usually in the detail and the above is just a snapshot of the main headlines. The above changes will be positive for me and provide much more flexibility. Feel free to leave a comment if the budget has affected your finances or future planning. So, I'm off to the pub to celebrate and enjoy the 1p off my pint! Nichols was added to my portfolio last September. I think I was a little impatient and should have waited a little longer for a pull-back in the share price. Here’s a link to the previous post around the time of the half year results. They have today issued results for the full year to 31st December 2013. Sales increased 2% to just under £110m, profits were up 10% as a result of improved margins and once again they were able to increase the dividend 13.3% to 19.62p supported by basic earnings up 11% at 45.8p and cover of 2.3x. I have pencilled in a figure of 22.5p for the coming year which would put the shares on a forward yield of around 2.0% at the current share price of 1142p. Around 80% of sales are generated in the UK and the remaining 20% from abroad, with continued growth in African markets where revenues increased 21% over the year and coupled with a stronger second half year (versus 2012) in the Middle East, where full year sales were £23.1m, 2% ahead of the previous year. The international expansion continues and new contracts have been signed for Nepal and Myanmar, both of which are due to come on line during 2014. The balance sheet appears strong and the company has a net cash position of £34.3m - up 39% from £24.7m in 2012. "I am pleased to report another excellent year for Nichols. We have successfully delivered on our strategy to increase our profitability and, pre exceptional items, we have delivered double digit growth to both profit before tax and earnings per share. The business continues to be highly cash generative and we propose a final dividend of 13.3p, taking the total dividend for the year up 13% to 19.62p (2012: 17.32p), reflecting the Board's confidence in the outlook for the Group." These are very good results and I am very happy to continue holding. One other point of note - many AIM listed shares can be used as a means to avoid or reduce Inheritance Tax (IHT) provided they are held for 2 years. The IHT limit has been frozen at £325,000 for the next five years which means many more people will come within this limit, particularly if property prices start to take off. A prospective saving of 40% tax can help to mitigate some of the concern of recent share price rises. Fifty years ago IMI was a division of ICI, the once huge chemical conglomerate which disappeared from the stock market in 2007. IMI has been independent since 1978 but never seemed much more than a doughty Midlands metal basher. Headquartered in a fortress-like edifice on the Birmingham site where it had been founded in 1862, it produced an awful lot of copper. Over the past decade the company has transformed itself following the appointment of former CEO Martin Lamb in 2001. Today, IMI is a global engineering group focused on the precise control and movement of fluids in critical applications. They work with leading international companies in over 50 countries to deliver innovative engineering solutions to address global trends such as clean energy, energy efficiency, healthcare and increasing automation. 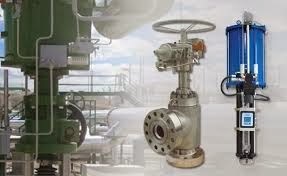 IMI is now a specialist flow control group entirely focused on industrial end markets. This strong foundation creates greater opportunities for technical and operational synergies and provides an excellent platform for future growth. The Company’s Severe Service, Fluid Power and Indoor Climate businesses comprise approximately 12,000 employees providing innovative knowledge-based engineering solutions for market-leading customers around the world. An estimated 70% of their products across the Group are bespoke, customised, differentiated or engineered to order for customers. This aspect helps to maintain the all important edge over competitors or barriers/moats to secure an advantage and secure higher margins. They became a FTSE 100 company in 2010 and its market cap has risen to currently £3.5bn. I first acquired this company in my portfolio in 2011 at the price of around 830p and a yield of 3.3%. Early in 2013, I foolishly sold for a 50% profit as the yield had fallen - as with the sale of DS Smith and RPC Group last year, I had plenty of time to reflect on my decision as the share price continued to rise. "As IMI moves into the next phase of its development I have initiated a review of all parts of the Group. While this review work is ongoing, positive early findings are already emerging. These findings, together with IMI’s inherent strengths, including its robust balance sheet, indicate that the Group is well positioned to exploit a range of growth opportunities over the medium term". "Looking at the year ahead: in 2014, based on current market conditions and excluding the adverse impact of exchange rates, we expect the Group to deliver modest organic revenue growth in the first half with margins slightly lower than in the first half of last year and an improved overall performance in the year." Following a strong share price rise over the past year - currently 1425p - I accept the shares are probably fully valued. I suspect there could be further weakness in the months ahead as the new management team settle in but timing has never been a strong point for me and, in any event, the intention is to hold for the long term. I always recall the quote attributed to Buffett in these situations - ‘better to buy a good company at a fair price rather than a mediocre company at a great price’ (or words to that effect). The new purchase has been funded from the sale of my holding in Carillion which itself has had a good SP rise over recent months. One of my long held investment trusts, Murray International (MYI) has today reported for the full year to 31 December 2013 (link via Investegate). It was fairly clear at the half way mark that 2013 would not be a good year - and so it is little surprise that the trust has returned just 4.6% compared to 21.2% for its benchmark index. High exposure to unloved areas such as Latin American and Asia and low exposure to the top-performing markets of the US and Japan hurt relative returns over the year. Asset allocation shaved 11.9% from the relative return, while stock selection accounted for a further 3.9% of the underperformance. Due to underperformance against the Company's benchmark during the year, a claw-back of previously earned but unpaid performance fees of £5.3m was triggered under the terms of the performance fee agreement. As a result, the ongoing charges for the year have fallen to just 0.33%. Manager, Bruce Stout has done an excellent job since taking over the reins ten years ago. The trust has become one of the most consistent global income trusts under his stewardship. Prior to 2013, it outperformed its benchmark in each of the previous 11 consecutive years. According to figures from the Association of Investment Companies, £1,000 invested over the past 10 years would have produced a total return of £5,700. Dividend growth over the past 5 years is 11.5% p.a. On the dividend front, they are proposing a final payment of 14.5p making a total for the full year of 43p - an increase of 6.2% on the previous year (40.5p). The revenue for the year was 43.8p. MYI has been one of the cornerstones of my income portfolio for several years and I am happy to continue with Stout and his team - I am confident the process and portfolio put together in recent years will bear fruit in the future and that this years underperformance is likely a one-off. I took the opportunity to increase my ISA holding in recent weeks following a dip in the share price below £9.50. Carillion was formed in 1999 from a merger of Tarmac Group (Tarmac Construction, Wimpey, Cubitts and Mitchell Construction). It has since developed into a multi-operational business operating mainly in construction and support services. It provides expertise in commercial and industrial building, refurbishment, civil engineering, road and rail construction and maintenance, mechanical and electrical services, facilities management and PFI solutions. The Company employs around 40,000 people and operates across the UK, in the Middle East and Canada. 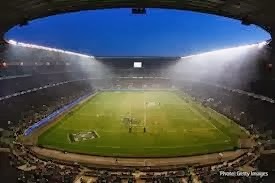 Recent major projects include the Olympic Media Centre (2012), Channel Tunnel Rail Link to St Pancras (2007), Twickenham Rugby Stadium (2006), GCHQ (2003) and Tate Modern (2000). Although its roots are based in the UK, an increasingly significant profit driver for the future is likely to be its activity in the Middle East and Canada. Medium-term objectives for Carillion remain the same. It sees substantial organic growth in UK support services and it plans to double international revenues over the next three to five years. Carillion’s full year results for 2013 were issued last week. I was not particularly impressed - revenues down 7% to £4.1bn (following a 13% decline the previous year from £5.1bn), profits and earnings down 33% reflecting a rescaling of the UK operations combined with a £43m charge for restructuring energy services. The full year dividend was lifted by 1% to 17.5p (2012 17.25p) and follows a below-inflation increase of just 2% the previous year. Clln’s share price has seen quite a surge in recent months - up from around 290p in December last year to currently 365p - a rise of over 25%. "In 2013, Carillion has continued to respond decisively to challenging market conditions, including completing the rescaling of its UK construction activities and the restructuring of its energy services business, which are now aligned in size to their respective markets, while continuing to develop and strengthen its positions in new and existing markets that offer good opportunities for growth. Overall, we expect market conditions to remain challenging in 2014, but with a strong order book, good revenue visibility and substantial pipeline of contract opportunities the Group is now well positioned for the future." My two main concerns at the half year point last July were outlined in my previous post ‘a rising debt of around £270m (£156m end 2012) and a significant pension deficit.’ Debt has fallen considerably to £215.2m but still a little on the high side for my liking taking into account declining earnings in recent years. The Company's pension deficit contributions have increased 30% - £9m to £39.2m. Carillion was added to my income portfolio 2 years ago however I am not entirely convinced that this will become a long term hold for me and would be tempted to take profits and cash in should more solid opportunities appear - on a yellow card for the time being!